Our teams have brought lifesaving medical assistance to approximately 4,000 refugees who have fled violence in South Sudan since December 2015 and are living in deplorable conditions in Bambouti, a village of 1000 inhabitants in the South-eastern part of the Central African Republic (CAR). The South Sudanese refugees have been completely cut off from any assistance for several months, and have not had access to health care and clean water. Most of them live in tiny make-shift dwellings made out of palm leaves that don’t offer any protection from the elements. Many refugees explained to our teams how after being harassed by armed men, they ran away from their villages in South Sudan. Many of them lost track of relatives during the way out. Atenina Koubaka, 38, ran away from Source Youbu – South Sudan- last November and she finally made it to Bambouti with her three children and her husband after travelling for months. “Our main problems here are lack of food, water and medicines, that is at least until MSF arrived here”, she said. “We will not leave until the conflict stops”, she added. Some families lost members due to the harsh conditions in which they live. A few weeks after arriving in Bambouti, Martine Barifue, 28, lost her husband due to an illness that could not be treated. She now works in the orchard of a local family to get some food, mostly rice and cassava, to feed her only son. During a five-day intervention at the end of April, our emergency team carried out preventative activities to increase the immunization of children and pregnant women against epidemic diseases. In all 449 children between 6 weeks and 5 years received pneumococcal and pentavalent vaccination, a combination of 5 vaccines in one. A further 589 children between 6 months and ten years were vaccinated against measles, and pregnant women received tetanus vaccinations. The intervention did not only target refugees but also the Central African population in Bambouti which has been without access to health care for several years. Since March, we has supported the re-opening of the local health centre through the donation of medicines and the training of local health workers. More than half of the consultations at the centre are related to malaria. 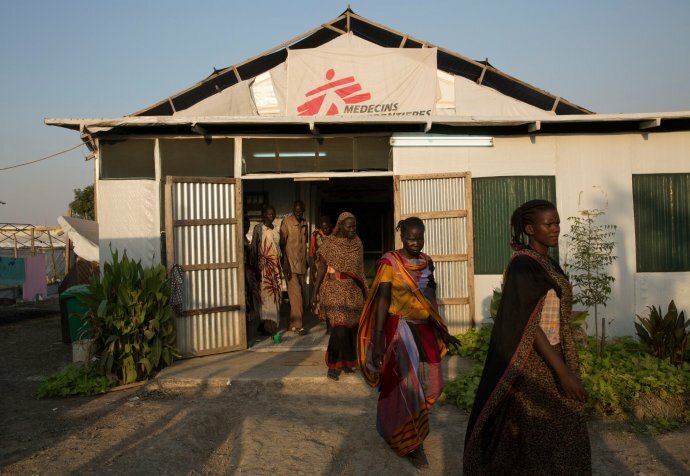 “We are expecting to see an increase in malaria cases as the rainy season starts soon, and the refugees don’t have proper shelter and mosquito nets,” says Médecins Sans Frontières emergency coordinator Juan Rodilla. Many patients also suffer from respiratory infections and diarrhea. We have left healthcare workers on the ground to prepare for the upcoming peak malaria season and will continue to monitor the situation in Bambouti. The organisation has made every effort to address the extreme vulnerability of the population and urges other organizations to use all possible means to provide much-needed humanitarian assistance.